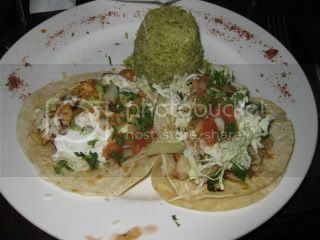 Favela’s Fushion ~ Great Mexican Food! The colorful salsa was roasty and spicy while the red salsa reminded me a bit of a spicy enchilada salsa. Both were good. I couldn’t decide on what to try since everything looked so good on their menu. This is definitely not your typical mexican joint ~ their menu reminded me alot of what Bobby Flay does as they used alot of different spices, nuts and even chocolate to “infuse” the flavors into their food. I finally decided on making my own taco combo ~ I picked a chicken and grilled shrimp taco with black beans. Easy, enough, right? 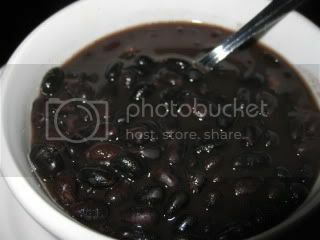 Well, then, they gave me the choice of smashed black beans or whole ~ whole and cilantro rice or spanish red rice….hmmm! He brought me out a sample of the cilantro to try and I was sold! Cute sample cup that we all shared ~ I want these cups! When our meals first came out, I was sort of jealous of the great chicken salad my Mom had. Doesn’t this look amazing? 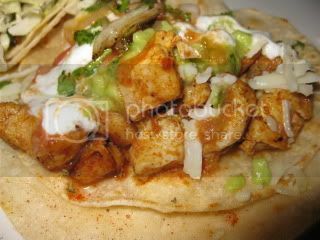 The first thing I dove into was my chicken taco ~ OMG ~ AMAZING! This might just be the most flavorful taco I’ve ever had. The chicken was rubbed with spices, then, grilled. 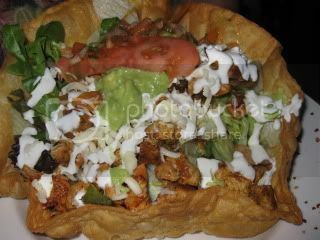 It was stuffed into two little corn tortillas with a little cheese, cabbage, chunky fresh salsa, guacamole and a little sour cream. Next up was my shrimp taco. 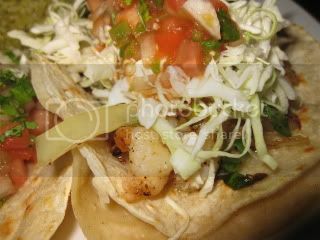 I LOVED that they included caramelized onions and garlic with their spicy shrimp with cabbage and chunky fresh salsa. This was amazing too! I was thinking as I ate these, tacos might just be one of the best creations ever! My sides were that amazing cilantro rice that melts in your mouth and birsts with just enough cilantro flavor and slightly spicy black beans. 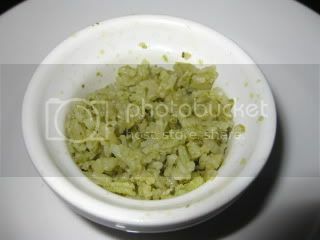 Their presentation is really fun ~ they place dashes of the different spices they use on your plate. I wish my camera captured how cool this looked with all the different colors. After lunch we headed off to Lowe’s and Home Depot to check out our rock siding that we are installing and helped my parents pick out some cool flowers. I have been relaxing this afternoon, but, suppose I need to get in the kitchen to start cooking up the NEW recipe I have for you all! My GNU Bar Giveaway ends in about 6 1/2 hours ~ Click HERE before time runs out! mmm. mexican food is #1 in my book! that all looks so good, and the chips look like they would be soO delicious! i love the presentation! That restaurant sounds great!! 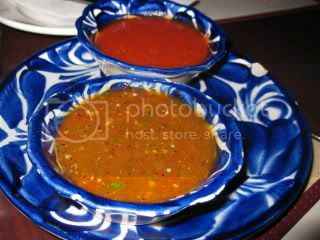 I love the plates they served their salsa on – how fun! 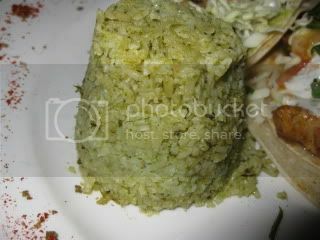 Janetha ~ I have to agree – mexican food is so healthy and tasty if you order it right. 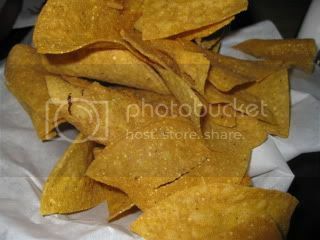 The chips were AMAZING – all salty, hot and crunchy – yum! K ~ You know, I found myself eyeing the plates too LOL!